I was inspired by something that happened in my personal life. I observed, during my college days in Haryana, how people peep into your personal space. Every power and authority wants to keep an eye on you in all possible ways. The mobile phone and my daily life have inspired this production. The storyline is influenced by Edward Snowden. I chanced upon the playwright and read this play. I adapted the script with my translator Meenakshi Thapa and also the co-founder of my group Dir’Actors Studio. 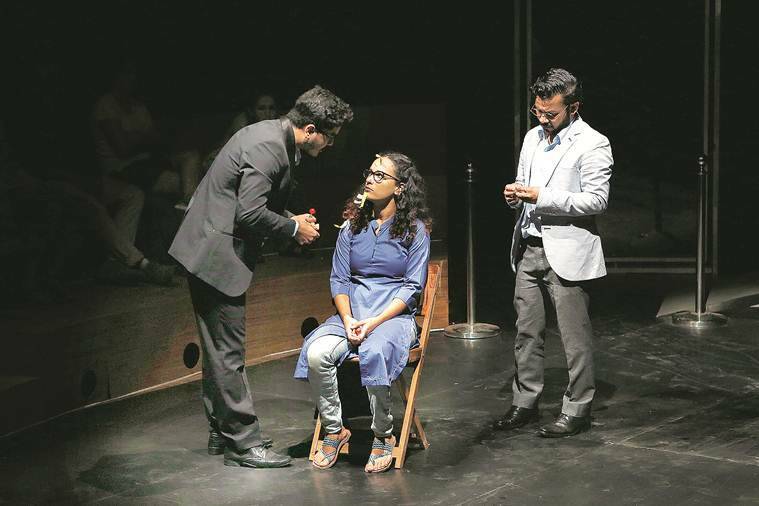 The play has a female protagonist instead of a male, like in the original script, as I have grown up seeing girls in my hometown Haryana being subjected to surveillance. Since birth, a girl is under supervision. She is always watched by her parents and, in the later stages, by her husband/partner. The protagonist of this play is a writer, who talks about her life and, through the course of events with people intruding and questioning her choices, finds and understands her privacy. The structure and the concept of this play is a little fragmented. When I say fragmented, I mean it is the writer’s mind that is hyperlinking throughout. Characters pop out in the scenes just like ads do online. I prefer to place this play in an intimate space where the audience is close, as it talks about intimacy and the private zone. The play deals with social media and the internet so it uses social media and audience interaction through internet and live interaction. My play talks about the public and private sphere of an individual. Large businesses and corporations invade the privacy of individuals and collect data for their economic benefits. If a State gives the ‘right to privacy’, to what extent is it maintained? Surveillance with the aid of social media is sweet exploitation of the resources that the public avail for networking and fun. When surveillance of an individual is used against personal will, it directly affects human behaviour, family and relationships. I prefer scripts that contain content that’s contemporary. I started my theatre journey in 2005 during my graduation and have been an actor, and have conducted workshops and productions in universities and professional theatre groups. 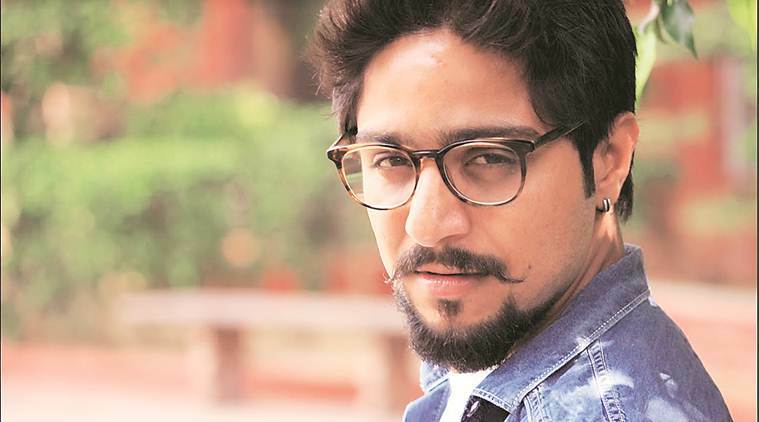 Surya ki Antim Kiran Se Surya ki Pehli Kiran Tak, Yayati, Illa, Komal Gandhar, Sashtra Santan and Khajuraon ke Shilpi are a few plays that I have directed before joining NSD. I have done some experimental work in NSD, such as Hamlet, 1984, Big Mama’s Funeral and Saturday Night.